There’s an interesting phenomenon that occurs when we take soul-time for ourselves. 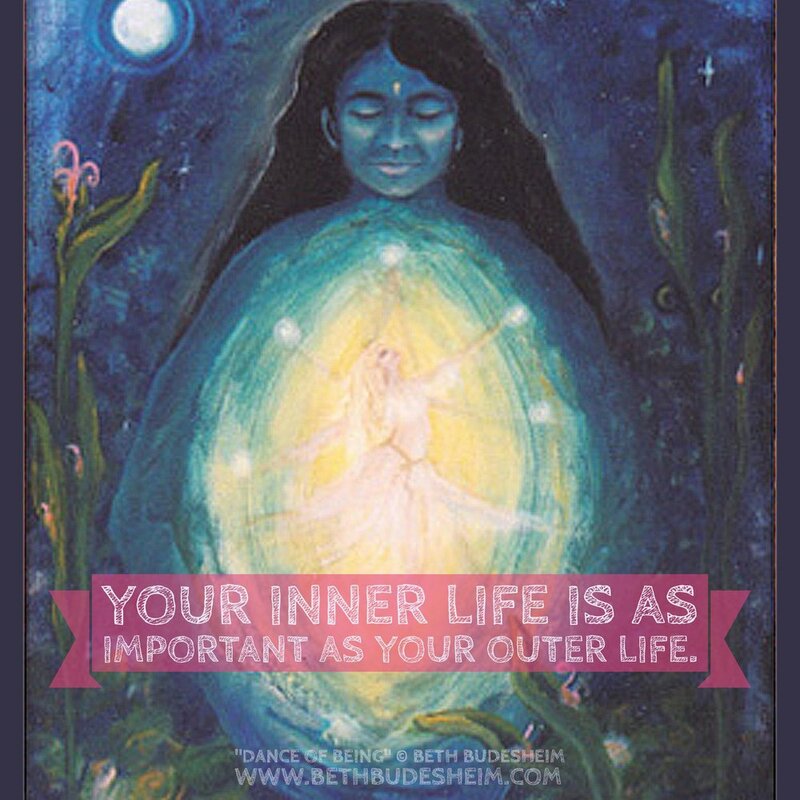 Our outer life transforms! I can’t tell you how many times I’ve let go of the to do list and done what I know my soul-spirit-psyche needs,… a walk in Nature… receiving a massage…meandering around town…daydreaming…and like good magic that’s when clients start wanting to book sessions, or I get things done easily that I’d been feeling very stuck with. So besides feeling better, clearer, and reconnected to my true self, my outer life improves too. So please take time for yourself. Schedule in something that’s been whispering to you, before it becomes a shout (ie..like a back pain or coming down with a cold). Even 5 minutes of stillness can do absolute wonders. Stillness is a moment in which your soul refills you, in which you re-fill with what is truly important and nourishing. One of the mistakes I see people make, is thinking they need a big chunk of time for self care-soul care. So they put it off until their vacation, and then sometimes their vacation, which is suppose to be relaxing, is actually stressful because they’ve crammed a bunch of activities into it and never took time to get out of the ‘to do’ list mindset. Extended time off can be really great, but don’t wait. Nourish yourself now, everyday. Here’s how. The next few days, I invite you to decide on one soul-time activity for next week. This could be a walk, receiving a massage followed by tea and journaling at a quaint cafe, or having one hour of free time in which you commit to no computer-no phone- just being with yourself. I also invite you to take 5-10 minutes...just 5-10 minutes..I think everyone can find at least 5 minutes…of stillness/of nothing, everyday. I have a ‘contemplation chair’ that I use for my still time. Find a spot for yourself where you’ll be undisturbed and have privacy for your 5-10 minutes. Now sometimes things can bubble up during still time. Emotions. That’s ok, just be with yourself, with whatever occurs and breathe. If you experience resistance, parts of yourself who want to get up a do something, who say you’re not good at still time, who feel anxious or stressed, just notice them, observe, breathe, and reaffirm that this soul time~still time is important. Sink beneath the resistance and be open to discovery. It's my belief that we all need true deep soul time~spirit time. I know I do. So let's do this together. Perhaps even post here about your experience, what you notice, and how you creatively engaged.